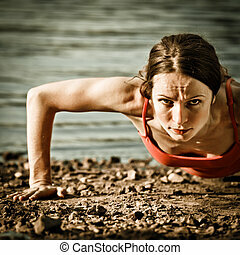 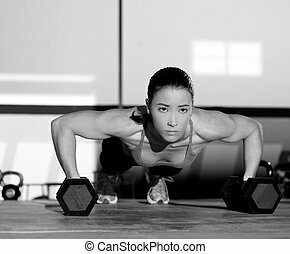 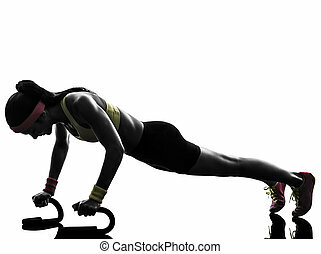 Woman exercising fitness workout push ups silhouette. 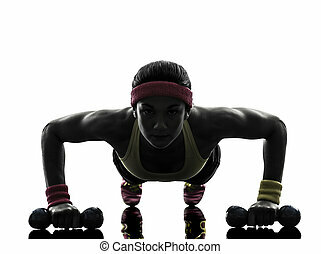 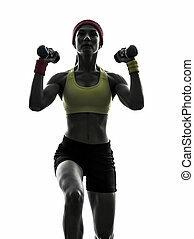 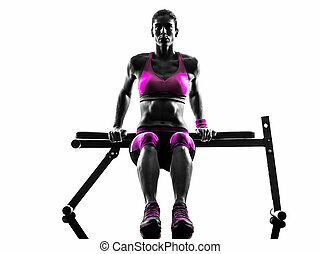 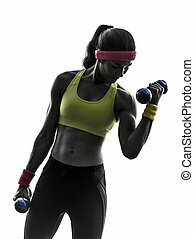 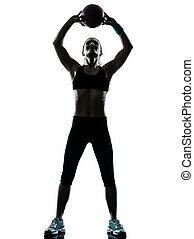 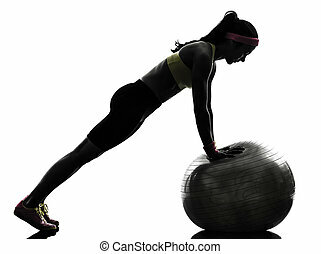 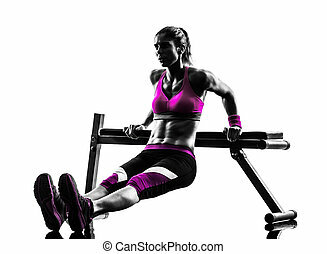 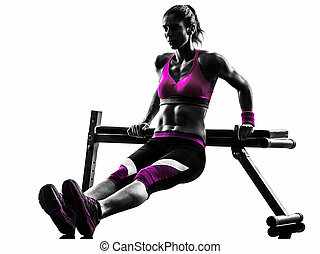 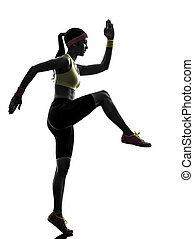 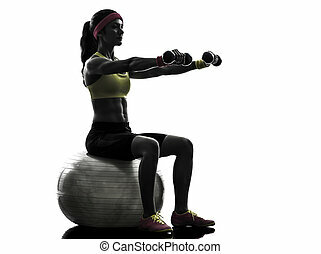 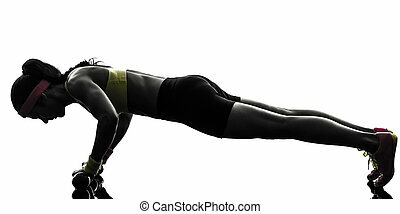 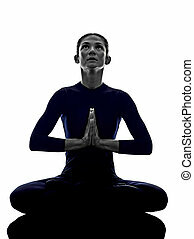 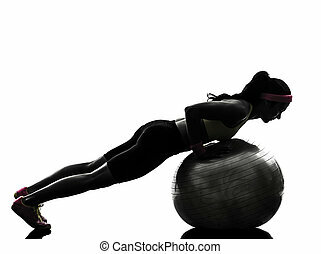 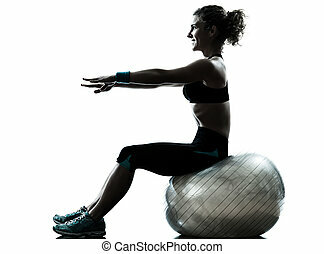 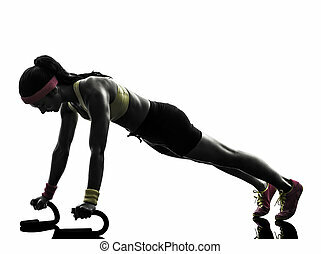 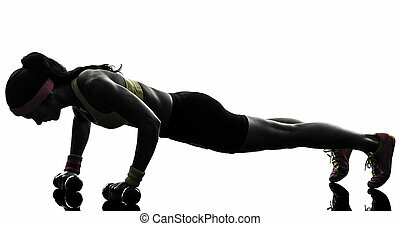 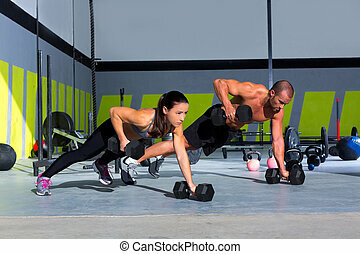 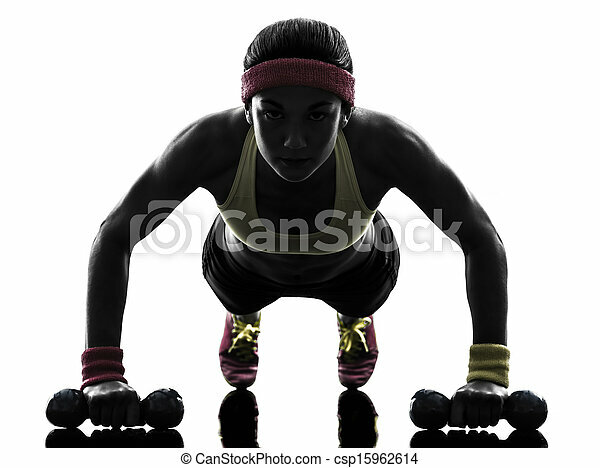 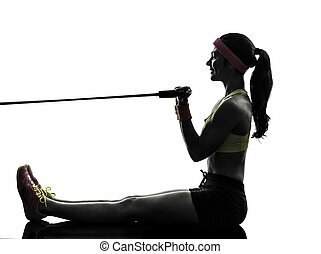 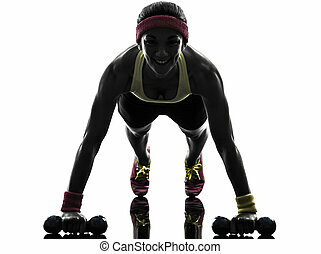 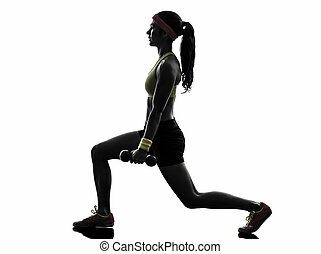 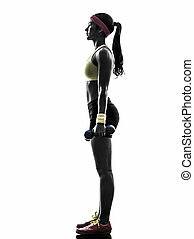 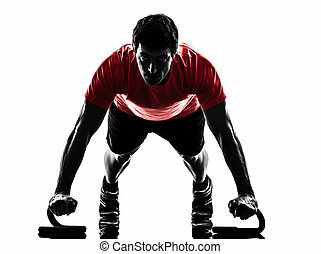 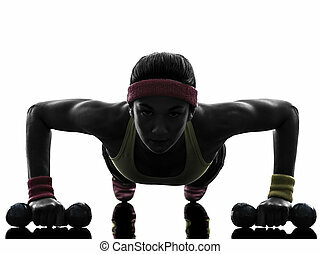 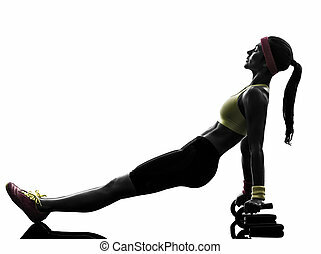 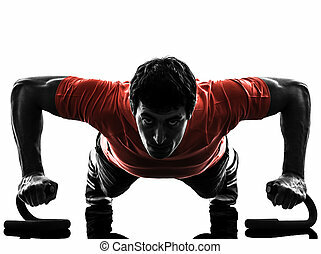 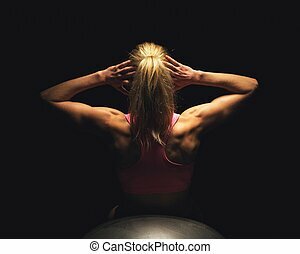 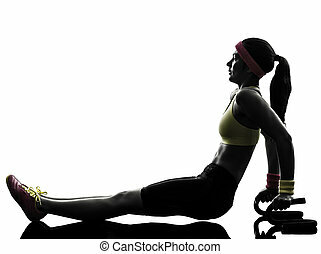 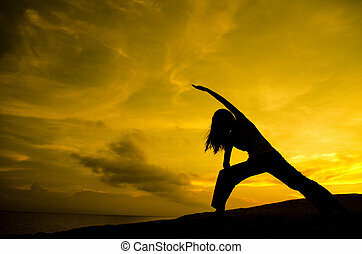 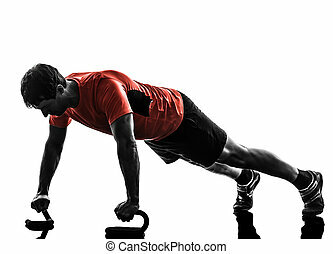 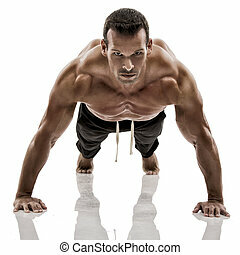 One woman exercising fitness workout push ups in silhouette on white background. 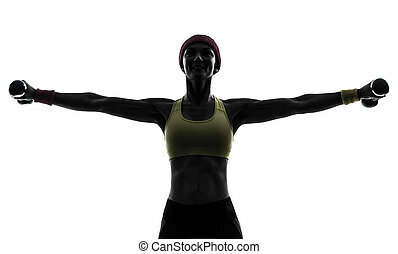 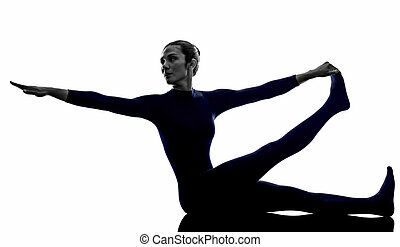 Warm up calf stretch exercise on floor by a beautiful young athletic african american fitness woman wearing black sports bra and briefs underwear. 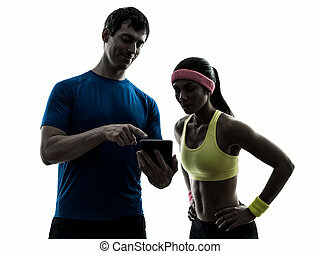 Close up portrait of handsome teen fitness couple standing with smart phones.Couple in sportswear with earphones isolated on white background.